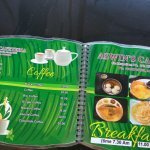 Description: Aswin's Cafeteria - A Superior Kerala Dining Experience. 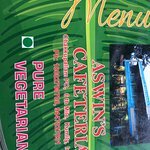 Aswin's Cafeteria is a Pure-Veg. Restaurant. 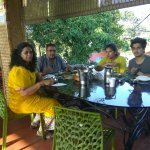 We specialize in Authentic Kerala Meals and Authentic Kerala Special Meals. We also serve North Indian Dishes, Chinese Dishes, South Indian Breakfast Dishes. We cater to large groups also. we also prepare JAIN dishes on orders. WE MAKE THE FOOD ONCE YOU ORDER IT. 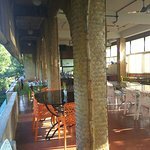 This is a Restaurant on first floor on the highway from Munnar to Thekkady. 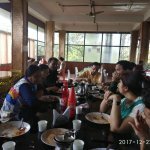 That day all the restaurant were closed on the entire highway because of Strike by the locals except this one. I am thankful for it as I tried the food here because of that. Had veg lunch here, they serve unlimited sambar, rasam , kadhi rice and chapati are limited. Food was tasty. staff was friendly. 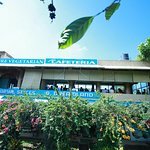 Clean Restaurant with nature's beauty. 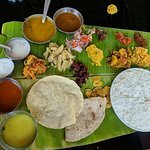 Excellent vegetarian food on way to tekady .must visit .try South Indian thali.even I he North Indian food was a big break to take us back to our home completely fresh and home style cooking. We had a lunch at the restaurant, it needs lots of improvement, food was served cold, on or two boys were running around to manage the tables. Food taste was ok.
We ordered one north Indian thali to share between us and we are delighted with the spread. There was enough to probably for another person to join in. The food has good homely feeling and is served on banana leafs irrespective of the dish served. 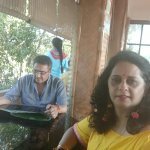 Highly recommend a visit to this restaurant enroute to visit to Thekkady. 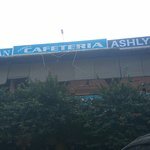 Been to Aswin's Cafeteria? Share your experiences!